When you’re caring for an older adult, it’s important to make sure key financial documents are in order. These documents are essential because they’re needed to allow you to step in and carry out your older adult’s wishes if they’re not able to speak for themselves. In this article, The Dollar Stretcher interviews Dr. Cathleen Carr to get answers to top questions about important financial paperwork. Your elderly parents need help keeping their financial paperwork in order. You want to help, but you don’t know what information you need to have and where it should be kept. And, you’re afraid that a mistake could be very costly in both time and money. To help us understand how to help elderly parents with their financial paperwork, we contacted Dr. Cathleen V. Carr, BA mcl, MA, JD, Msc.D. She also holds a doctorate in regenerative medicine, is a lawyer, published author, lifetime caregiver, ordained minister, and the founder and Executive Director of CertifiedCare. Q: Many elderly parents are reluctant to involve their adult children in their finances. How can a caregiver tactfully find out what financial records exist and where they’re stored? Dr. Carr’s answer: It helps to keep in mind that previous generations were taught to keep their financial information private, so do not take their reluctance to open up to you personally. Simply start by casually talking about your concerns and the issues you want to discuss. Gently, ask them if they have given any of their financial affairs thought and if they have any preferences about how their resources are to be managed in the event they are unable to make those decisions themselves. Maybe they will reveal their plans to you, maybe not. So much depends upon your family dynamics and their personality. Be patient and do not necessarily expect them to reveal all right away. This might take time and several attempts. If they are particularly reluctant to talk with you, you should get a third party involved, like a social worker or counselor or even an old, trusted friend, who might have more success with getting your elder to start the conversation. Q: What financial documents are essential for parents and caregivers to have? Dr. Carr’s answer: 1) A living will – if you want to be certain that your elders’ wishes about medical treatment are followed even if he/she becomes incompetent, make sure that they put those wishes in writing, using a living will. Make sure it identifies who will be making the decision for healthcare of the elder after their incompetence has been officially documented. In some jurisdictions, this identification of health care agent is called a Health Care Power of Attorney. 2) A durable or springing power of attorney (POA) – a document that specifies who will be in charge of your elders’ affairs should he or she become incompetent. The durable POA is in effect and force upon terms contained within the POA and those powers continue even after incompetence. A Springing POA only becomes effective after a professional declaration of incompetence. Both of these POAs generally give powers related to access to bank and other financial accounts and sale of real or personal property. However, any special or limited grant of powers can be bestowed by either of these POAs. 3) An advance directive – a document that allows you to declare your preferences for end of life care, such as whether or not life support can be used, etc. 4) A will – for distribution of the estate after death in according to the decedent’s wishes. 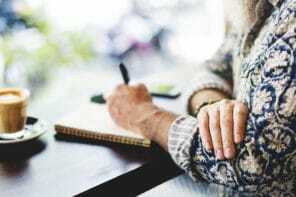 With or without these documents, it is very important to make certain that the Primary Caregiver or the elder’s Attorney knows where the insurance policies, bank accounts, ownership documents (car title’s, etc.) are, and that someone has the legal power and personal ability to manage those documents and accounts in the event the elder cannot. Q: Where should originals of important financial documents be kept? Where should copies be kept? Dr. Carr’s answer: Original Advance Directives, Healthcare POAs and Living Wills should be given to the physician or local hospital most likely to provide care. Copies should be shared with the Primary Caregiver, the back-up caregiver or most reasonable close relative, the local hospital, or a social worker on record with the hospital. The original financial documents should be held by an Attorney or filed with the county Probate Court. Only leave originals in a home safe if someone in addition to the elder has the combination to it. Q: If you’re caring for someone who doesn’t have the necessary documents, what should you do? Dr. Carr’s answer: The most efficient move is to secure the services of a geriatric social worker. They have all the document forms (except for wills) and can help fill out the paperwork. If you have a little more money to spend (and to manage), hire an estate planning lawyer. If you do not wish to pay for either of those two options, then get living will and advance directive forms from your local hospital. People can make out their own wills. However, the lawyer in me always cringes at this option. These days, there are so many landmines that non-lawyers simply are not aware of that can cost a bundle if stepped upon. If it is too late to get the elders’ input and signature, due to incompetence or illness, then it will be very difficult to have much influence over hospital policy. Financial powers will have to be bestowed by your elder’s local probate court, which is a tedious, time consuming, and costly process. Q: Do any of the documents become more important if your parents become incapacitated? Do any documents become ineffective? Dr. Carr’s answer: All of them become more important if the elder becomes incapacitated. They are designed for that circumstance, to provide reliable and legally binding decision making power on behalf of the incapacitated person. The will is the only one that only becomes effective only after death, after the others are no longer are relevant. Q: Suppose that your parents had more than one child. Should the caregiver share financial paperwork with brothers and sisters? Dr. Carr’s answer: Yes, if they ask for it. Why? First, caregiving should be a shared responsibility. The primary caregiver, of course, has the lion’s share of the work and burden, but they are not the “boss” of the elder nor the adversary of the other relatives. These documents need not necessarily be kept secret. One never knows when another family member will become necessary to the home care team. Second, by sharing the documents, one can minimize resentment, make the siblings feel more connected to the process, and perhaps even alleviate suspicion of foul play. Third, if there is a sibling willing to manage the paperwork, then there is one less headache for the primary caregiver. Guest contributor: Dr. Cathleen V. Carr, BA mcl, MA, JD, Msc.D, holds a doctorate in regenerative medicine, is a lawyer, published author, lifetime caregiver, ordained minister, and the founder and Executive Director of CertifiedCare. You can find more of her work at CertifiedCare.org. This article originally appeared in The Dollar Stretcher.com – a site dedicated to frugal living. They have an active section for Baby Boomers and a free weekly newsletter After 50 Finances.